"A good audio course with not much interactivity at a high price." More than 78 million people worldwide speak Korean. The country is also the 15th largest in the world. Facts like these are some of the reasons why so many people are choosing to learn how to speak this language. But with a completely different alphabet and grammar structure mastering the language isn't easy. In this review we will be looking at language learning company Pimsleur's attempt to create a fast and easy way to learn Korean. Read on and find out how much the course will cost you, what some of the major advantages and disadvantages are and whether it is the best course on the market for learning Korean. Pimsleur Korean is primarily an audio based course with written scripts for the conversations. The course comes as MP3 files or on CD. The Pimsleur method is relatively simple. You are first required to repeat words and phrases spoken in Korean. You are then given a space where you have to produce the word or phrase. And finally the word is repeated to you once again in Korean. Pimsleur Korean teaches what is known as a core vocabulary. This includes the words most commonly used in Korean and excludes those that are less essential. The principles that Pimsleur is based on have been used for more than fifty years and have been proven to be very successful in teaching languages. Phases 1 and 2 together cost $230. This includes 60 half hour long MP3 files and additional readings. You can also purchase phases separately for $119.95. Each phase costs $119.95 and includes 30 unites which is approximately 16 hours of material. In addition to buying complete phases you can also purchase 5 units at a time. Each five units costs $21.95. The flexibility of the different purchasing options is one of the advantages to buying a Pimsleur course. Easy To Understand - Pimsleur Korean uses a mixture of female and male voices on the audio track. The annunciation is clear, crisp and easy to understand. The nuances of Korean can be difficult for an English speaker to distinguish but the tutor does a good job of making these clear. Fast To Start - One of the best things about this program is that you can get started very quickly and start speaking Korean. Because Pimsleur uses a completely different alphabet (Hangul) many new learners want to give up before they even get started. By focusing only on spoken Korean you don't have to worry about understanding the written language. Clever Use Of Repetition - Pimsleur uses what is called spaced repetition. This means that phrases and words that you learn are repeated at increasingly wide intervals. This is an effective way of reinforcing the material that you have already learned. Occasionally the narrators of the course will surprise you with a Korean phrase that you learned earlier, which keeps your attention focused. 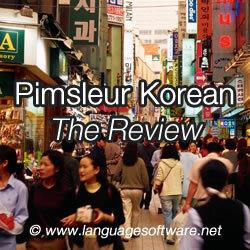 Easy To Use - Unlike complex software courses, Pimsleur Korean is very easy to use. All you need to do is provide the translation of a particular word or phrase when told to. If you listen carefully and follow the instructions you can't help but make gradual progress. Words Are Broken Down Into Parts - Each Korean word that you learn is broken down into syllables and you repeat after the speaker. This makes it much easier to learn how to correctly say Korean words. Very Good For Busy People - Pimsleur was originally targeted at the business traveller. You can listen to the audio lessons when you're driving in your car on your daily commute, making dinner, or taking a walk. You also don't need to listen to it for more than half an hour a day to see good results. In fact going beyond half an hour day can actually produce sub optimal results if you are going through the material too quickly. Only Good For Speaking And Listening - The main weakness of Pimsleur courses is reading and writing. Pimsleur is great if you want to quickly learn how to hold a basic conversation. It is less suitable if you want to have a fundamental understanding of the Korean language. This can be a particular problem in Korea where you may not be able to find an English translation for menus, signs or other written material. Can Be Repetitive - The Pimsleur method does work, but it can also be a little boring. While you only need to use it for half an hour a day, this is lucky because it would probably be difficult to go beyond this. In contrast software courses like Rocket Korean provide a mixture of learning activities and games to keep your studies interesting. Korean Used Is Quite Formal - The Korean taught in the course is quite formal. This is not so much a flaw as something that you should be aware. Koreans may find your formal way of talking a little strange, especially once you get to know one another. Pimsleur couldn't have done a better job of explaining how the use of Korean changes depending on the age and seniority of the person that you talking to. However, politeness is important in Korea so it is better to err on the side of being too polite rather than too informal. Uses the proven spaced repetition method. 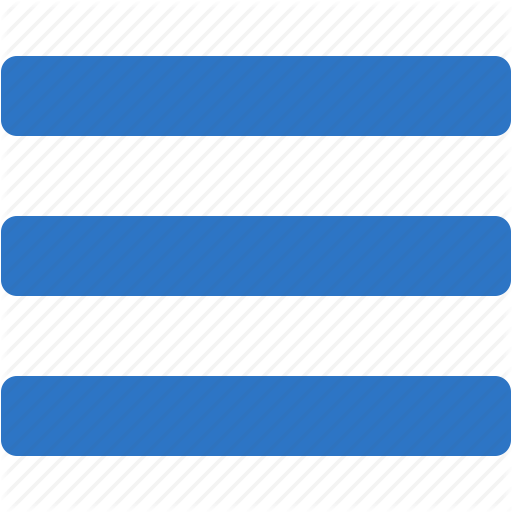 Sentences are broken down into parts during listening modules. Offers not much insight into reading and writing. Can be overly repetitive and boring at times. Teaches a very formal Korean. The price is high (at $230 for 60 thirty-minute lessons). Pimsleur Korean is a good choice if you want to quickly learn how to hold a basic Korean conversation. It is particularly good if you don't have a lot of time for study and you aren't interested in learning the written alphabet. However, if you want a course that covers Korean in a more complete way then you may be better choosing Rocket Korean. Rocket Korean also includes audio MP3 files and many of the same language learning principles. But it also covers reading and writing much better. Overall Pimsleur Korean does what it is intended for very well.